WINTER SKIN SAVERS | Swiish - Fashion, Beauty, & Lifestyle. Just because the winter air is crisp, doesn’t mean your skin has to be as well! Too many of us are settling for flaky legs and cracked hands when we could so easily avoid it altogether! We may be in the depths of winter but with a few special tips and tricks, you can keep your skin glowing as bright as a summer’s day. Healthy, glowing skin starts on the inside. You can’t moisturize away a bad diet! Healthy oils and fats are definitely the forerunners when it comes to skin-loving food. Not only do they help us absorb nutrients from the fruits and vegetables in our diets, but they also help to keep our cells strong and our skin supple and wrinkle-free. This is why we’re always adding things like flaxseed oil, coconut oil and avocado to our Super Green Smoothies! Antioxidant rich foods like red and purple berries, dark leafy green vegetables and nuts are also fantastic winter skin savers. So make sure you don’t skimp on the blueberries! There are also plenty of antioxidant-packed superfoods out there to choose from too! You can get your hands on some great skin-saving smoothie recipes in our Super Green Smoothies book. You’ll be amazied at how such a simple task can have such a staggering result. 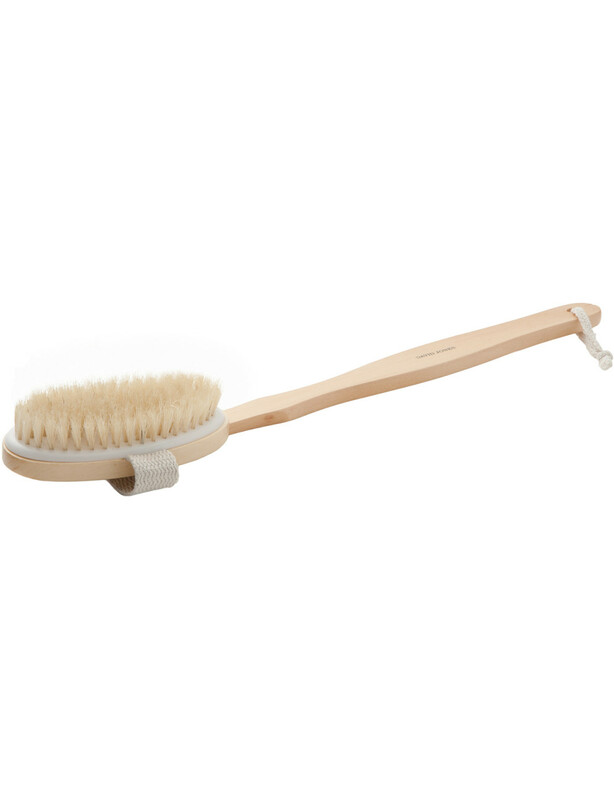 During winter, dry body brushing is pretty much a non-negotiable… Why? Well first off, it removes the dead layers of skin and other impurities. It also stimulates and increases blood circulation, helps rejuvenate sells, improves skins texture, strengthens the immune system and even helps release fatty deposits under the skins surface. And that’s only about half of the list of benefits…better get brushing! Check out our post on dry brushing for the full list of benefits and a guide on how to master the technique HERE. A long, warm bath is an amazing way to wind-down in winter. What’s even better is when you get to combine relaxation and skin-rejuvenation in one! Almond oil contains vitamin A and E that help to hydrate your skin and cleanse your pores. It also kick starts the cell-renewal process and helps get rid of dead skin cells. Try mixing 250 grams of milk powder and half a cup of almond oil into your bath in order to reap the benefits. We also suggest lighting your fave scented candles and catching up on some reading whilst you're at it. Bliss! Time to butter up! And I’m not talking about your toast. Body butters are the way to go in winter if you’re looking to steer clear of dry, scaly skin. Unlike your face and neck, the rest of your body is covered in quite thick, sometimes tough skin that’s hard for regular lotions to penetrate. Since body butters and oils are usually a lot denser, they do a great job at targeting dry skin right down at the core. Cold weather is a nightmare for your skin. All it takes is a few days without a proper moisturiser and your face can become tight and dry and begin to lose its elasticity. This means wrinkles. No thanks! Avoid this situation as best you can by using an effective anti-ageing face cream like Renu 28. It contains special molecules that enhance your skin health at the cellular level in order to keep your skin looking dewy, moisturized, and youthful even in the harshest weather! We all know that keeping your fluids up has got to be the single most important thing to do if you want to keep your looking silky smooth. Under hydrated skin can appear tight, dry and flaky and that only leads to one thing… wrinkles. Herbal teas are a delicious way to keep your fluids up when it’s freezing out. These antioxidant brimming brews are a perfect, low-caffeine alternative to coffee or when you think you simply cannot down another glass of water. Keep all these tips in mind while you sail through the winter months and you’ll be sure to come out glowing!